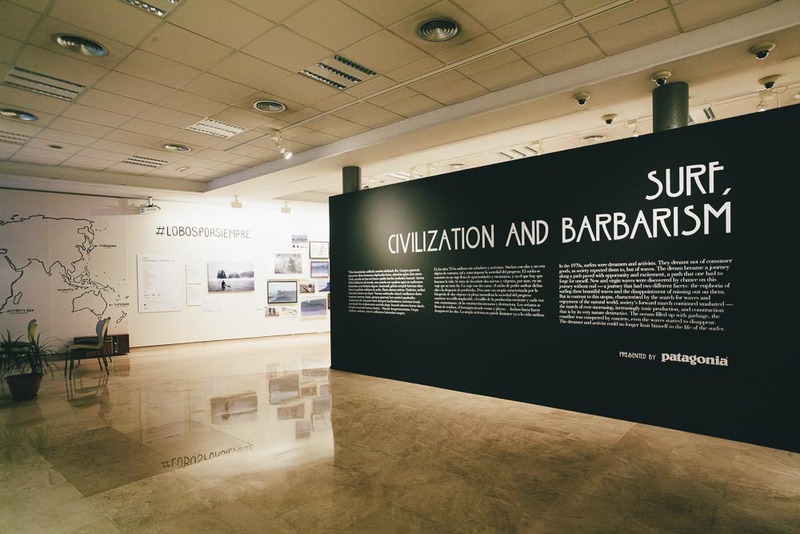 One of the most important proposals of this 13th edition was the Surf, Civilization and Barbarism exhibition, a compilation of images, ilustrations, videos, thoughts and objects who will take the visitor through all the world´s continents and key surf spots which have been over developed or that still live in their peacefull solitude. Many people was involved, we asked Gibus de Soultrait for a text which will resume the ideas and premises behind this concept. Here you are this text, hope you enjoy it as much as we did. Thanks! In the history of surfing, the idea of utopia has long assumed the role of both a vital force and a force of resistance. The initial form this idea took, and its prominence in the surfing landscape of the ‘60s, was due in no small part to Bruce Brown’s famous film The Endless Summer. 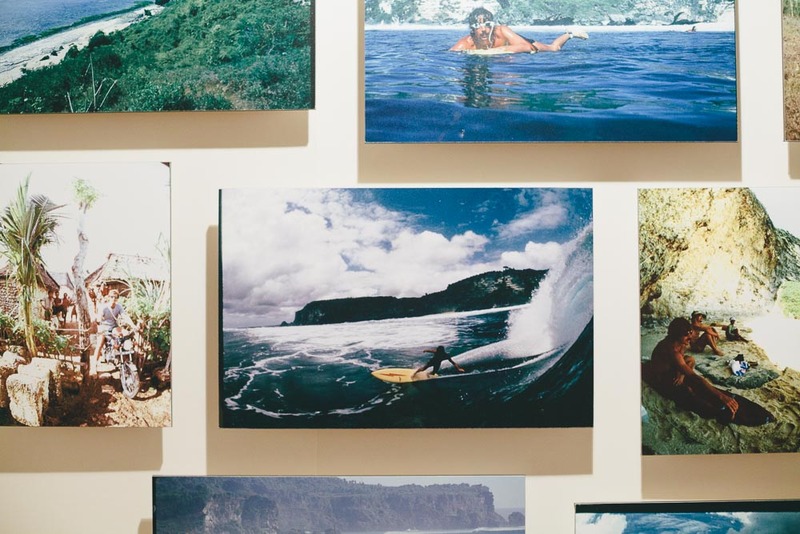 When he started shooting his film in 1963, Brown simply wanted to make a colour documentary about surfing, a sport that he loved; he wasn’t thinking about an act of rebellion. In the film, surfers Robert August and Mike Hynson have short hair and wear suits and ties when they board their flights in search of waves. When Brown gave it its title, he never imagined that it would become the slogan of the Californian counterculture of the ‘60s, or of surfing’s vision of utopia. When the 16mm film premiered in California in 1964, it was so successful amongst surfers and young people in general that Hollywood converted it to 35mm, then distributed it to cinemas all over America the following year. At that moment the United States were at war in Vietman, and in ’65 President Johnson decided to send ground troops to the front; thousands of young men were enrolled in the army and ordered to shoot their fellow men. The youth of America rebelled. On television they saw images of bombings; at the cinema, images of an endless summer and perfect waves. And against the backdrop of the nightmare of Vietman, this surfing utopia — the wave, the journey, the natural world, the summer that lasts forever — seemed a just and worthy cause. Surfers united with the hippie movement of Peace & Love and made a common front against the Vietnam war. The Endless Summer is more than a film, it’s a manifesto for a different way of life. From this point forwards, the idea of utopia became an active force of resistance, a movement that strived towards a different society to that of the American Dream and imperialist war. In the 1970s, surfers were dreamers and activists. They dreamt not of consumer goods, as society expected them to, but of waves. A board, a backpack, a little bit of money here and there — earned sometimes by legal, other times by illegal means — and that was all they needed. The dream became a journey along a path paved with opportunity and excitement, a path that one had to forge for oneself. New and virgin waves were discovered by chance on this journey without end, a journey that had two different facets: the euphoria of surfing these beautiful waves on the one hand, and on the other the disappointment of missing out on them — a broken car, an ocean that refuses to cooperate. The Forgotten Island of Santosha picked up where The Endless Summer left off, with an imaginary island that didn’t exist, a very real wave that did, and a clear message: an invitation to go searching. Bali, with the beauty of its countryside, the magic of its Hindu culture and the hollow perfection of its waves, represented the promised land, in which surfers needed “nothing” to live. And so countless surfers headed in that direction, year after year. But in contrast to this utopia, characterised by the search for waves and enjoyment of the natural world, society’s forward march continued unabated — the march of ever-increasing, increasingly toxic production, and construction that is by its very nature destructive. The oceans filled up with garbage, the coastline was conquered by concrete, even the waves started to disappear. The dreamer could no longer limit himself to the life of the surfer. He had to initiate an ecological struggle. In 1972, Californian surfers saw the wave of Dana Point disappear due to the construction of a promenade, while the San Ofre nuclear power plant was built just a stone’s throw from the birthplace of Californian surfing in the interwar period. In the film Pacific Vibrations, founder of Surfer magazine and the film’s director John Severson warned about the dangers posed by the modern world; surfers watched it expecting just another opportunity to dream about waves and travel, but the images they saw of the Californian coastline revealed not only waves but also abandoned cars, industrial power stations, and hazards of the nuclear variety. Severson had known the Californian coast when it was still virgin countryside, and he saw how fast it was changing — hence the “SOS” he sent out to the world in his film. In 1972, when Mundaka was known of by only a small handful of surfers, plans to build a port in the river mouth set Franco’s Spain dreaming. 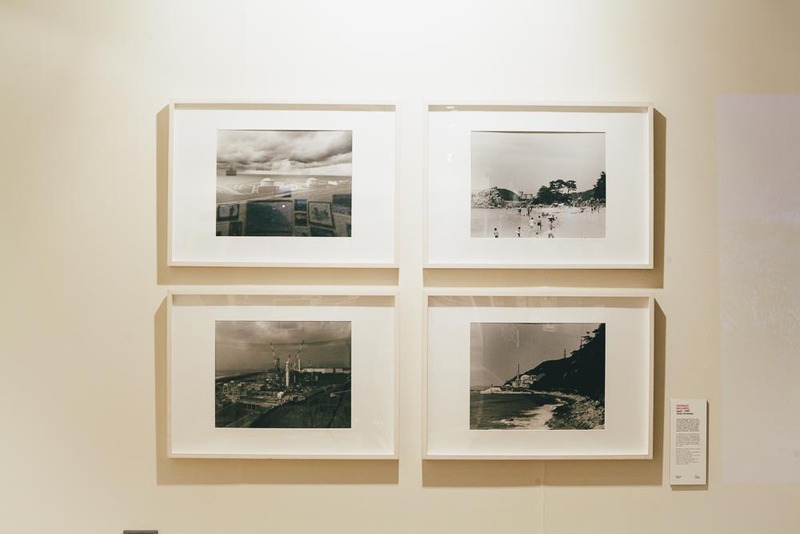 The same year, on the other side of the border in the birthplace of French surfing, the mayor of Biarritz also had a dream, and approved a plan to convert the beach into a promenade and fill it with buildings. Two monstrous projects that would never see the light of day thanks to the firm resistance of local associations and the lack of investment. The surfing community had dodged a bullet! But in 1986, after years on the road and outside of the system, surfers grew more realistic, even if such an outlook didn’t come easily. Some discovered an interest in developing the surf industry and converting the utopia of the surfer’s lifestyle into a marketing gimmicking for surf brands to exploit. Others realise the importance of grouping together and standing firm in order to protect one of the most precious natural resources at our disposal: the surf. When the wave of Malibu was under threat, surfers mobilised, joined the ecological struggle initiated some years earlier by other committed citizens, and created the Surfrider Foundation, whose fight to preserve the ocean and its waves would encompass all manner of oceanic pollution and coastal destruction. Around the Surfrider Foundation other organisations begin to spring up in other parts of the world: Surfers Against Sewage, Save The Wave, the list goes on. It’s the fight of David against Goliath: the value of natural beauty and the enjoyment thereof in the long-term, against economic interests and development in the short-term; the utopia of an alternative vision of the future against the warped logic of modernity; the hope of the ecological dream against the blindness of economic forces. Everyone has his or her own ideas about the issues in question. But while the waves of Fukushima will unfortunately remain unridden for centuries to come, at Punta de Lobos in Pichilemu, Chile, the first battle against pollution has been won, and a new conservation area has been established. Utopia isn’t merely a dream. On the ground, in the real world, it has behind it the force of reason. At present modernity marches onwards, unaware of the damage it causes to the lands and resources it tramples over. 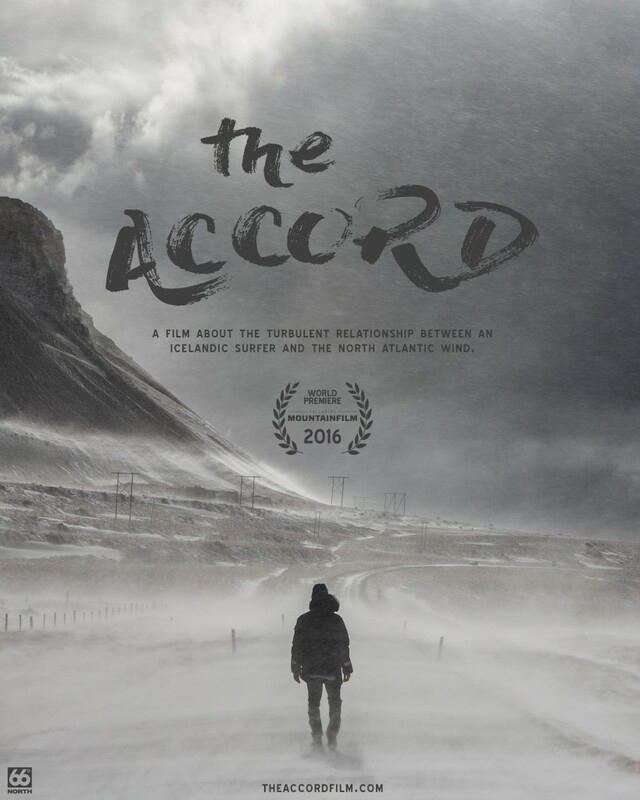 Entropy and dystopia prevail over the longed-for utopia; the fight against global warming is desperate and disheartening. We are blinded and trapped by the present tensions between productive forces; we live overwhelmed and consumed by the passage of time, from morning to evening. But that too is an illusion. Time has no end and the only thing we can do is run after it blindly. We need to get up to date. This is why we must listen to the dreamer-surfer. We must listen to his message, that of an active — and activist — utopia. When the surfer’s waiting in the line-up, he knows that the waves arrive in their own time, following their own rhythm. And to go surfing is to surrender oneself to the rhythm of the waves. In a given moment the surfer is waiting; in the next he is paddling to catch the wave. The rhythm of the wave, as the surfer sees it, is a beautiful metaphor for imagining the modernity of the future; the forces of production surrendering before, and joining with, the ceaselessly fluctuating rhythm of the Earth’s natural resources. When we think about the ecology we must think about rhythms. The rhythms of utopia and dystopia — but of a living and breathing utopia that is one with the rhythm of the world, and not just of a dystopia that suffocates and destroys the entire world. This rhythm enables us in some measure to free ourselves from the agony of time, from its inexorable passing, from its oppression. The age of ecology is the age of rhythm. 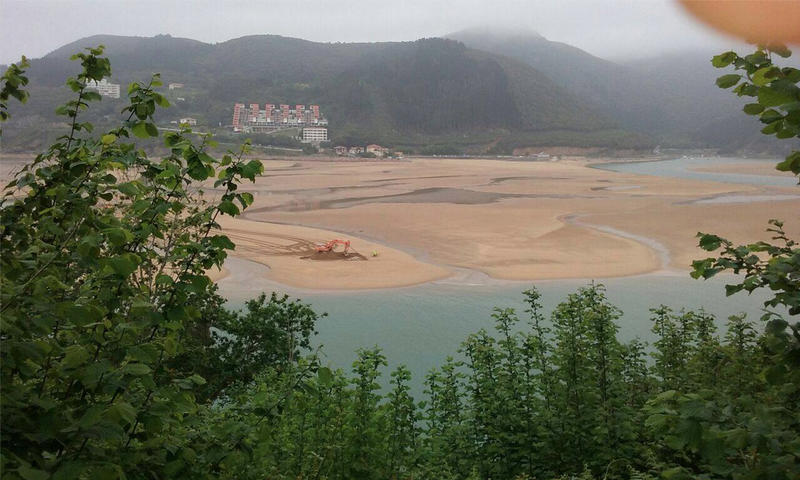 After reading with concern in the Correo of the 23.04.2015 the news about how the institutions were going to restore 10.000 / 20.000 square meters of beach in Laida, taking sand from the Mundaka sandbar, we started a plan to gather information. After gathering all the info, talking to all the concerned institutions, regular surfers from Mundaka, scientists, we consider us surfers need to organize and create an active figure, committee representing anonymous surfers, surf clubs, local surf industry, european and global so that in any future intervention in any surf spot which can threaten its quality we can be present from the beginning to be part of the design of any works in order to protect our coastline and waves. Anybody who surfs, who has an interest on the environment, and wants to have a real effect on politics, being active members of our society, and not to be at the mercy of many times contradictory decisions made by politicians. The problem we face is that waves have not any kind of legal figure of protection, they are not either monuments, natural landmarks, or wild life… surfing has to mature, and we need to be respected in our society… but maybe we need to have a surfer as “Lehendakari”, head of the Basque Government to be legit. What we are living now with Mundaka, which is without doubt the most sensible wave in the Basque Country, it does´t matter if you never surf it, it does´t matter if you went once and you were snaked, or if you have experienced the tension felt many days in the line up. It doesn´t matter if you are from the village, from the Mundaka Surf Taldea, from Getxo, Algorta, Giputxi, if you are in the Federation or not. Every surfer needs to rally so the institutions feel we are behind them, taking care of our coastline, and that we represent thousands of persons, thousands of jobs in the surf industry, and that the eyes of the global surf community know and respect the Basque Country and that they will stand against any activity that can put in risk the few world class waves we´ve got. We cannot do a technical judgement, neither we can determine if the undertaken project is going to affect the wave or not. 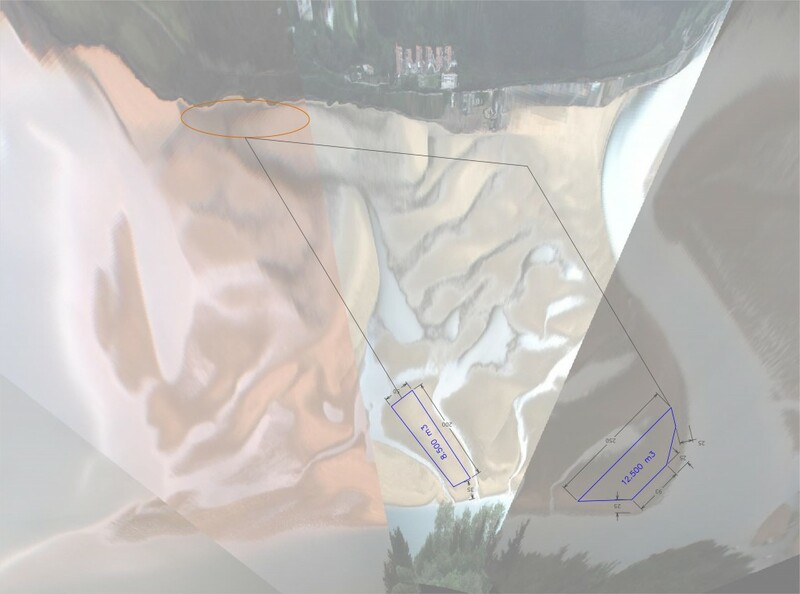 But, with the experience of other past alterations on the sand system, the uncertainty created by the scientist in charge of the study of this intervention who cannot assure the wave won´t be affected, and simply by the pure logic of taking a mountain of 100 meters x 100 meters x 4 meters high of sand in front of the sandbar, we can only wait for the first swells of the season to see how the sandbar will be working. Until then, we can only do our homework, and work together to try to create a single, powerful voice representing the surf world in front of the institutions. After being sent the news appeared on El Correo Newspaper, I called a very known Mundaka surfer, who is very active in anything concerning Mundaka. He told he he went to a press conference in the Patronato de Urdaibai, alongside other members of the Mundaka Surf Taldea. This press conference / meeting, was called by the Patronato de Urdabai (Institution taking care of the Reserve of the Biosphere declared by the UNESCO), and it´s objective was to explain why, how and when the sand movement was going to be undertaken. The institutions present were, AZTI, an investigation center in change of the technical study and of designing different methods of regaining dry sand for the beach of Laida, Diputación de Bizkaia and its environment department which is the Institution in charge of coordinating this kind of interventions in the province of Bizkaia, Gobierno Vasco (Environment and urbanism department) who were in charge of hiring Deloite & Touche, a consulting firm, to do an economical impact study of the beach of Laida. From the information presented in this meeting, the resulting wrong media coverage, and the lack of active involvement of the surf community in the preliminary stages of the project, for sure there reasons for the alarm. 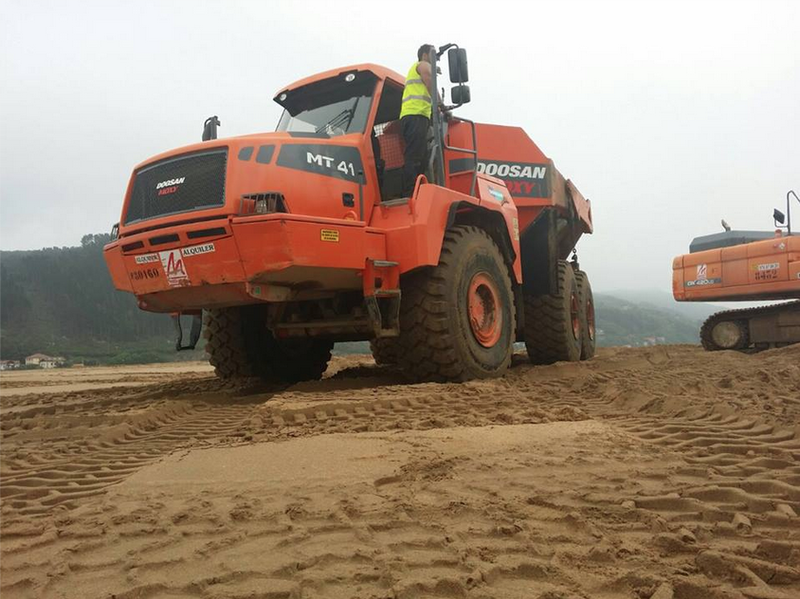 Words of dredging 40.000 cubic meters of sand (a mountain of 100 meters x 100 meters x 4 meters high) that were going to be taken away in the “Intermareal zone (covered sand in high tide found between the wave sand bank and the beach). It was an “urgency” intervention that didn´t need an environmental impact study, and paid by a special fund dedicated to help restore disasters created in the coastline after the 2014 storms. We started our work of looking for all the official information, technical studies, economical impact investigation, that were publicly available, to try to gauge if the sand movement could and would have an impact on the quality of the wave, and if, as some regular surfers were claiming, it was a flashback to 2003, and they were going to rebuild the huge dune of Laida that created havoc in the wave! We called the Patronato de Urdaibia. Maybe we were too clear: “Hello, we want to ask for all the public information about the regeneration of the beach of Laida, we are really worried, and if it really puts in risk the wave, we are going to campaign against it and push a big world wide campaign in the surf community”. The director of the Patronato was very kind, and she offered us all the contacts of the Institutions that were part of the project. We called Costas de Bizkaia (Institution part of the Spanish Government that takes care of all the spanish littoral) asking for Santiago Fuentes, the technician in charge of the project. As he was not present, we requested the information about how the works were going to be done technically in Laida. The person who answered, told us that she would send it immediately after asking permission to mr. Fuentes. At noon, she called us pretty excited, telling us that we nearly got her in the morning, that all we wanted to do was a campaign against the project, and that I had tried to snake here. Of course, I excused myself if she thought I was lying to her, and I told her that we were looking for the information, and that if we considered after studying it the wave was in risk we would go strong with a full on campaign against it. She told us that they had considered the wave and its surfers, that we were really important for Mundaka, etc… She told us that they wanted to have a meeting with us at Laida, Thursday, may 7th. 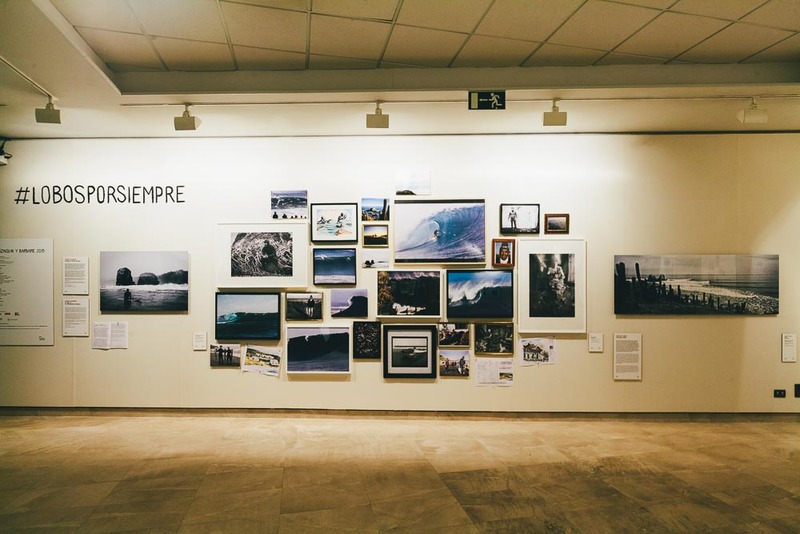 I told her that we were not a true representation of the surf community, that we would like to invite more people, the Mundaka Surf Taldea, the Basque Federation, a few longtime locals. They told us to come by ourselves, that it was us who had requested the information. Next step was to contact the Basque Government (urbanism and environmental department) in order to request the economical impact study by Deloitte & Touche. They send it to us instantly. Even better, 2 hours later, the technician that had answered us, called us to try to set a meeting with the director of the department, and the director of the Environmental Department of the Diputación de Bizkaia. There was no doubt that the institutions were starting to fear that their strategy was going to backfire thanks to the reaction of the surfing community, and that the intervention was gonna explode in their hands, this thanks to the fact that they had never taken into consideration the surf community in the preliminary phase of the project, and of course before the public announcement. Parallel to the request of information via the institutional channels, we contacted a good representation of regular surfers of Mundaka. Long time locals (from the village, expats, and from the Baque Country), the secretary of the Mundaka Surf Taldea, surfers from Gipuzkoa, from Algorta, Bilbao, anonymous surfers with 30 seasons in the line up, pros, unknown people, a pretty broad representation of legit surfers from Mundaka. We told them we thought we needed to do a collaborative group effort, trying to design a strategy on how to confront this delicate sand movement. 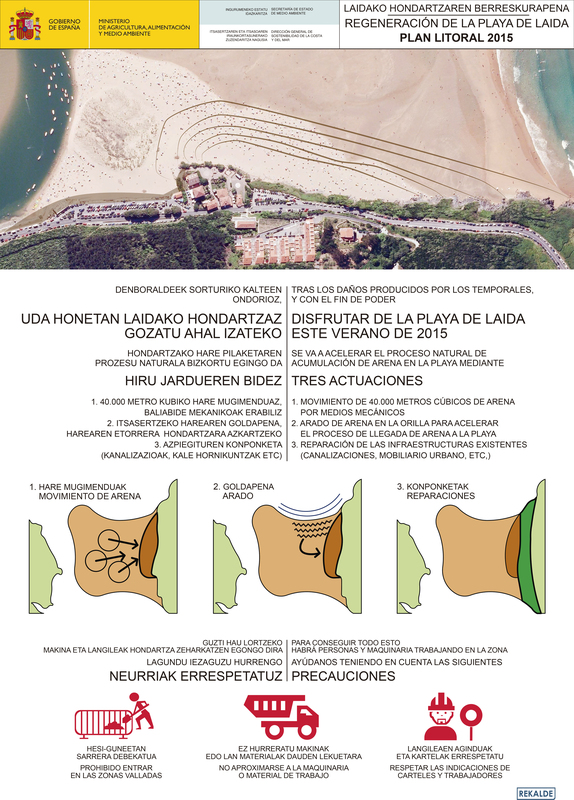 Meeting at the Patronato de Urdaibai: Thursday, may 7th. Reunión en el Patronato de Urdaibai. 3. Santiago Fuentes. Technician in charge of the project. Bizkaia Coastal administration. The introduction of the presentation is by Maria Uribe, visibly pretty tense, explaining that the intervention is motivated and demanded by the town hall of Ibarrangelu (Laida is their beach) that will not have dry beach for the summer season of 2015, and will have big economic losses. I replicate, telling that I think it is a mistake to have designed this sand movement that the public has know about on media without working in its design with surfers. That I understand that there is a conflict of interests, that different parts have to coexist, and that Ibarrangelu needs a dry beach. I tell her that we are not the enemy, having this impression by the defensive attitude of the deputy, that of course we cannot deny the economic impact the beach of Laida has and that the consulting firm Deloitte hired by the Basque Government has amounted to 4,8 million euros, but that I don´t think we have to confront this figure with the income generated by the wave of Mundaka versus the the income of the beach in Ibarrangelu. 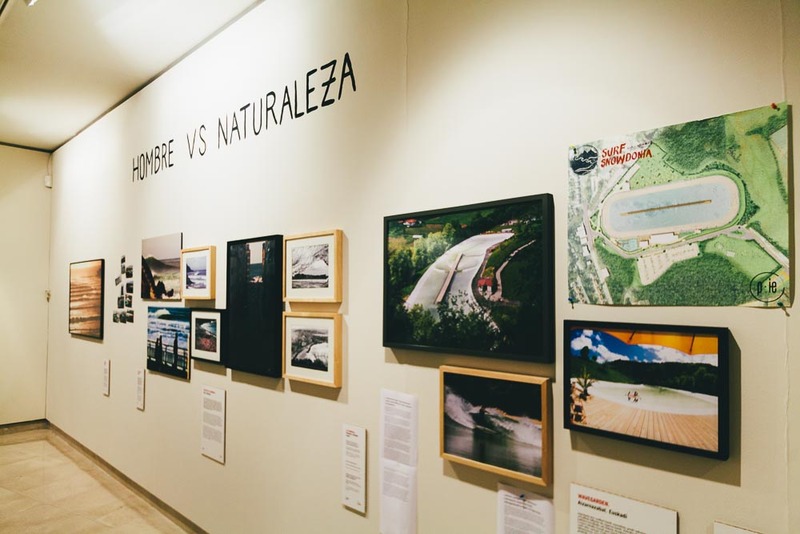 I explain that Mundaka is probably one of the biggest assets of the European Surf Industry, of all the basque surf industry, and if Mundaka was not a world class wave, the image of basque surfing would be greatly affected. Santiago Fuentes from Costas department, explains that the crisis situation has been more than perfect, and of course the wave of Mundaka was taken into consideration. He explains that in 2014, after the huge winter storms, there were 59 interventions on the beaches of Bizkaia, and that Laida was speared not to affect the wave!! Then starts the presentation by AZTI. Pedro Liria, great surfer, scientists working in AZTI, and probably the most informed researcher on the movements of the Urdabaia river mouth, and coastal system, is charged in doing the presentation. We were lucky to have him during Surfilmfestibal3 in 2006 to explain us the causes and results of the 2003 dredging. In this ocasion, we are confronted again with the historic movements of sand movements since 1950, 21 years previous to the first dredging of 1971. Since then, until 2003, there are different dredgings in the river mouth caused by the need of getting boats out of the Murueta shipyard, for the regeneration of the Laida beach in 1998/1999 when 96.000 cubic meters are dredged and used in the new beach. Without doubt, nobody has studied with more depth the theory and movements of sand in the Estuary than AZTI. Studies based in the observation, comparison of the different states of the sand by aerial photos, via Kostasystem, where the different deposits of sand, meanders, can be studied. To our question about the effects of the huge 2014 storms on the wave, and the bad quality of the surf in the fall of 2014, winter of 2015, the answer was that 2014 was very erosive, and the big sedimentation of sand still coming out of the dune created in 2003/2005. Based on this know how, AZTI does different proposals for a solution. The first one is not to act, the second is to do a small intervention to restore access to the beach, and a small quantity of sand (5000 cubic meters), third is the reconstruction of an artificial dry sand beach, and fourth is to help the natural flow of sand from the north/east part of the beach up to the beach by plowing the sand with tractors so it is decompacted and moves easier to the dry sand of Laida. (We enclose the graphics that explain it). Anyway, they state that they are “soft” interventions that are reversible, that of course there is no talk about building break walls, or more aggressive works. The study, ordered by the Bizkaia Deputy, is asked to be delivered urgently, 10 days earlier than the original date. 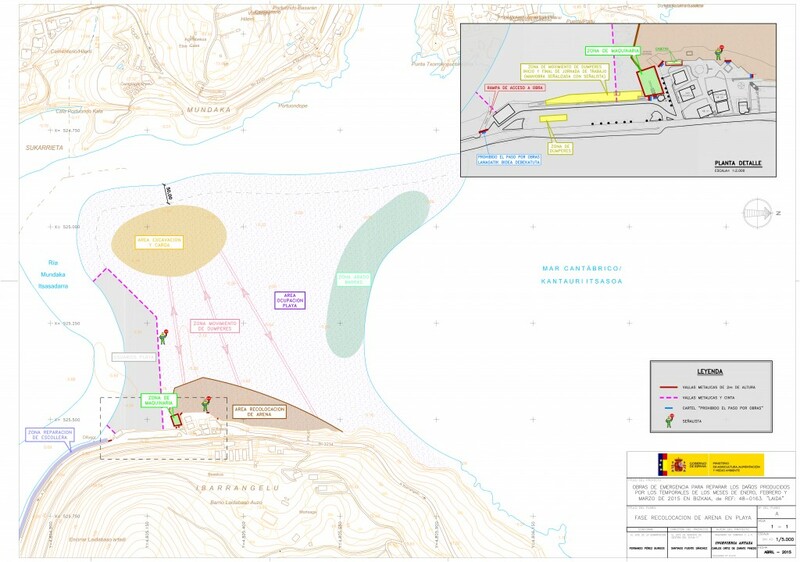 With these different alternatives, the Department of Costas decides to undertake the works with a combination of the third alternative, restoring between 10.000 and 20.000 square meters of sand (1 or 2 football fields), and the fourth plowing the northeastern part of the beach, under the Antxoras rocks. We enclose the work plan presented by the Costas department on May 11th 2015. Santiago Fuentes told us that he would share every monday the work plan for the week while the works are on. A nuestra pregunta, de que si sabían, pensaban, si esta intervención iba a afectar a la calidad de ola, su respuesta era que NO lo podían saber. Y desde nuestro punto de vista, es sin duda muy dificil que los científicos y técnicos puedan hacerlo. Les planteamos que sacar 40.000 metros cúbicos del sistema natural de sedimentación de la barra, en el que durante la primavera / verano, la arena sale de la ría y se deposita en la barra al haber pocas marejadas, y con la compactación debido al viento predominante del noroeste, si puede ser un problema. Su respuesta es que no lo podían asegurar. 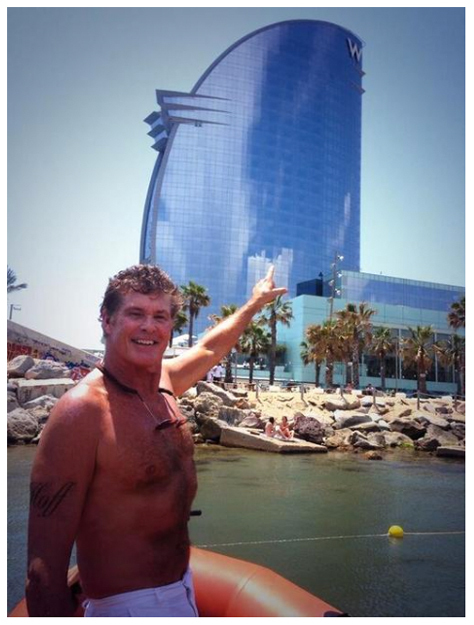 Pero que sin duda, si la barra no esta bien en el otoño de 2015, los surfistas les íbamos a echar la culpa a ellos. To our question if they thought that this sand movement would affect the quality of the wave, they answered that they CANNOT know. From our perspective, it is very complicated that the scientists and researchers can know about it. We told them that removing 40.000 cubic meters from the natural system of sedimentation from the sandbar, that normally during spring and summer come out of the river mouth and deposit on the bank when there are no major swells, and its compactation on the bank helped by the northeast wind, yes can be a problem. Their answer is that they cannot assure it. 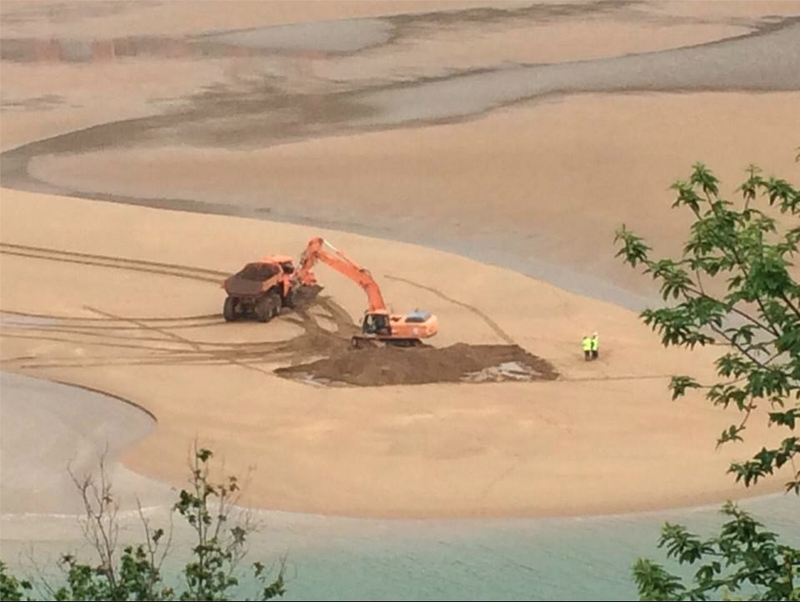 But that for sure, if the sand bank is not working good in fall 2015, everybody would blame them. We like acid, in all its forms. We like the politically incorrect, and mostly we really like antiestablishment in the mega conservative surf industry / media. 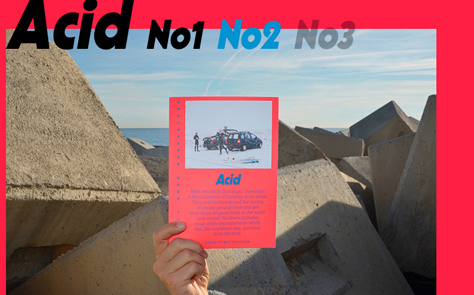 That´s why we´ve wanted to get together with the minds behind Acid Magazine since their very beginnings! In this year´s festival we´ve programmed a clip from them, a mash up of some of their favorite surf imagery. 1. 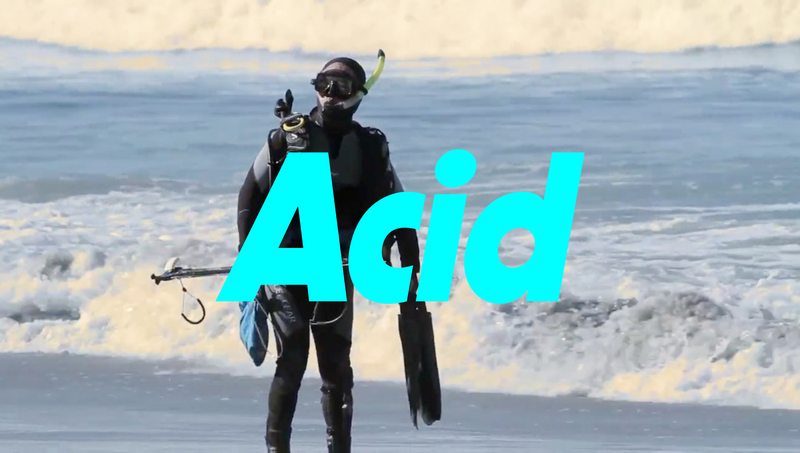 Acid surfing as a statement: what is your in between the lines reading? There are several readings, yes, but the most important is: Acid is an abrasive reaction to the establishment in surf media. Then, the editorial vision goes further, but the it all starts by taking away the fat to portray surf with freshness. The other layers are less important, there´s a reference to Soma, a french skate mag, and another to 80´s fun culture. And probably there is more. 2. In your last issue, you talk about landscaping, architecture: Does concrete, asphalt excite you? Or you always do it backwards? More than the concrete, we find surfing fascinating as an entry point to talk about the world, and in the way you put it, on how our coastline is designed. Its mind blowing to realize that behind the very eco / natural of surfing´s image, nowadays it is practiced in an environment super manipulated by mankind. It´s not that we are in favour of the untouched vs the artificial, both are hypnotizing interactions between the ocean and the coastline. More so in Barcelona, where we started to surf, there are only absolutely artificial spots. 3. You are french, now Olivier you live in the mountains, and you started in Barcelona. Do you think that the lack of waves stimulates the brain / leaves time for other interests within our contemporary culture? No, I don t think so. Being curious and lively is a characteristic of each one, it has nothing to do with how busy you are. 4. What have you prepared for Surfilmfestibal12? It´s an experiment, we tried to take our editorial line into video: choose things that we like, mix´em until something stimulating comes out. A pot pourri of shorts. We´ll see.